That was an official lego promotion. Your best bet will be to look carefully at all the images here and try to recreate it... though you'll need LOTS of legos! Maybe you can even come up with your own better version. 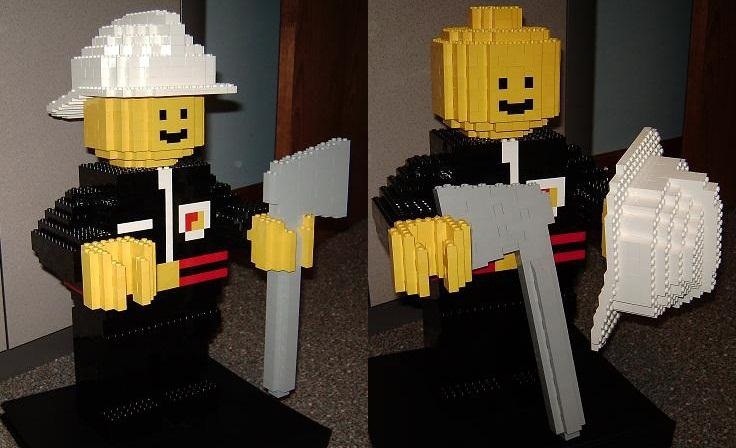 There's also this LEGO fireman, though it's just a 10x scale of the regular LEGO fireman minifig. Not quite as cool as the life-size promo one Bryan linked to, but it does have detailed instructions.